Thrilled to be amongst the artists whose work was chosen to represent the studio! Check out our new signage…now when folks drive by they’ll know what we do and how they can interact! 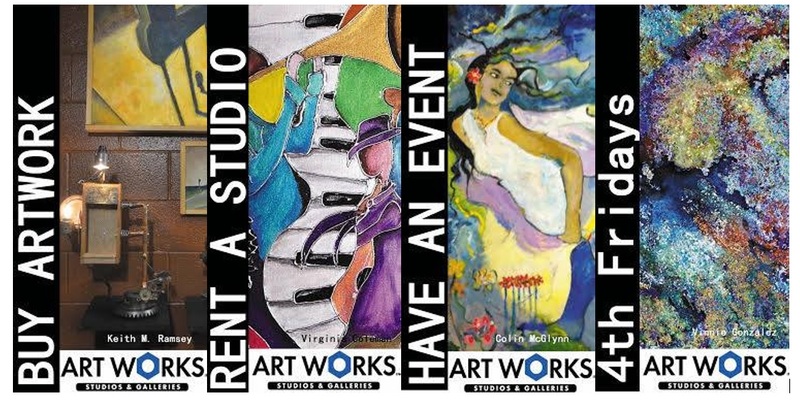 Keith M Ramsey Virginia Bartee Coleman Colin McGlynn, and Vinnie Gonzalez Art Works Richmond… a place to Buy Art, Rent A Studio, Have an Event and 4th Friday Exhibits! Open today…come by and see us! My Mom looking up at the banner!